These are the last remaining available trips in the Ride the Alps high season (June-September) schedule. It’s unusual for us to have trips made up of individual riders as most of our trips run with private groups. If you are an individual rider or part of a small group and you’re keen to ride one of these fabulous routes then please do get in touch to register your interest. 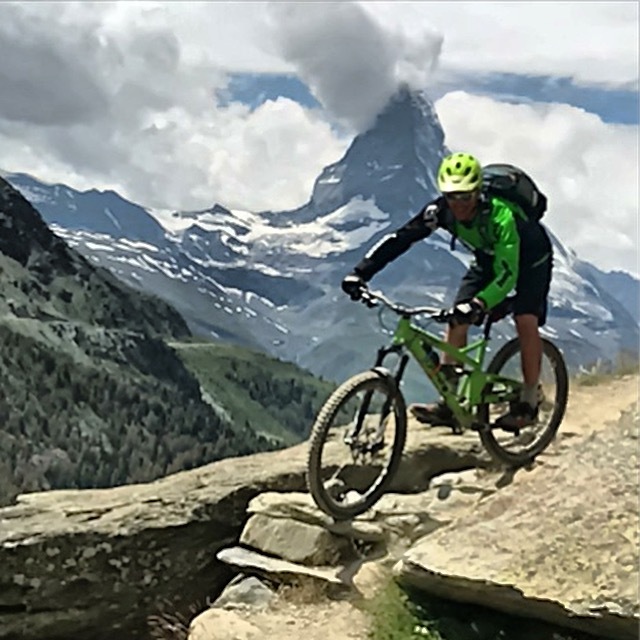 Make sure you have a good read through the trip itineraries before you decide to go ahead: Tour du Mont Blanc, Chamonix to Zermatt. Both trips are physically and technically demanding with consecutive days of 1000m+ climbs and challenging technical singletrack descents. 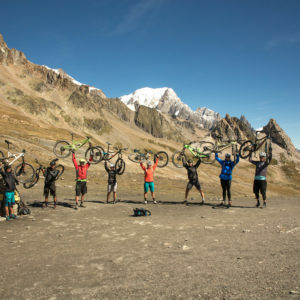 These are epic mountain bike rides with breathtaking scenery and some of the best riding you’ll ever do on your bike. 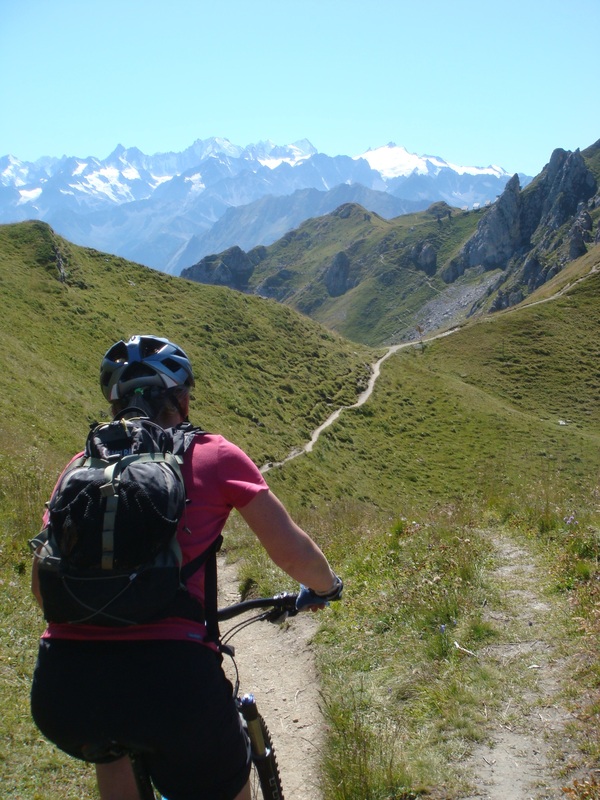 Although our high season is almost full we do have plenty of availability in May for Alpine Singletrack riding in the Haut Giffre valley. The Haut Giffre is our home valley. It’s a quiet corner of the French Alps where the singletrack is not so busy as in the more popular resorts but flows just as beautifully. We have availability for long weekends or mid-week breaks between the 6th and 28th of May. You can stay in our self-catering holiday apartment (B&B is also an option) and make use of our garden with mountain views and bike workshop. If you prefer a catered stay then other accommodation options are available. 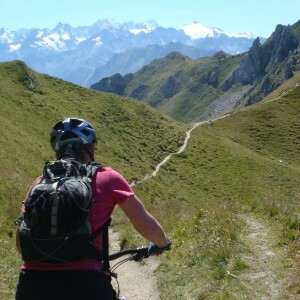 May is normally a beautiful month in the Alps with warm sunny days and quiet trails. There are no lifts open at this time of year and the high cols will still be snow covered but there is still plenty of riding on the mid and lower level trails and we can use our van for uplifts to save the legs a little. We are offering a 25% discount on accommodation in our holiday apartment throughout May if you book for 3 or more nights with 2 days of guided mountain biking (180 euro for 3 nights accommodation instead of 240 euro). Email Mary if you are interested. We hope to see you out here this season!